It was cold sleeping without the tent’s rain fly. Temperature dipped below 40°F (5°C) in the night. The sleeping bag kept my body warm but my face was freezing. I ended up sliding my head underneath the bag. That, coupled with me constantly sliding down my tent due to the uneven terrain made for a not so comfortable night. I had planned to maybe get up and watch the sunrise but was too lazy/sleepy to actually do it. Instead I slept until 8:30am, but was able to catch glimpses of the sunrise when I woke up from time to time. I took another dip in the water and left Lower Cathedral Lake at 11am. The hike to Tuolumne was alright. Compared to previous days, it lacked the beautiful scenery since it went mostly through dense forest areas. What it didn’t lack were day hikers. There were tons of them doing an 8-mile day trip to Cathedral Lakes. 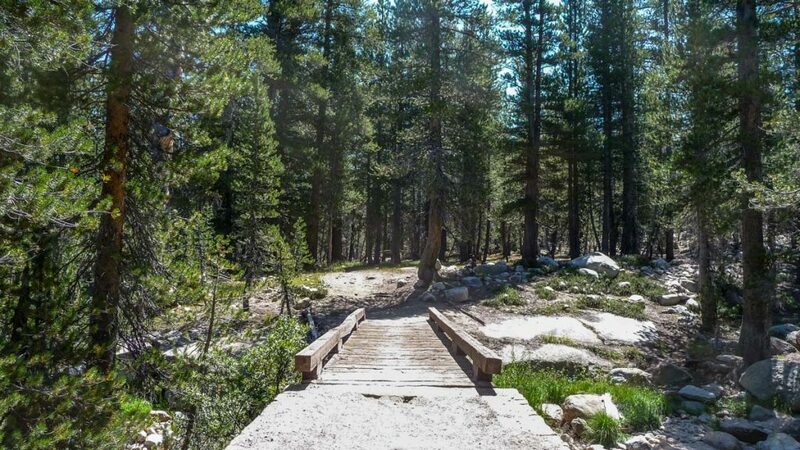 When I got to the T-junction, I decided to take the “official” JMT trail as opposed to the shortcut (and more direct) trail to the Tuolumne Campground. 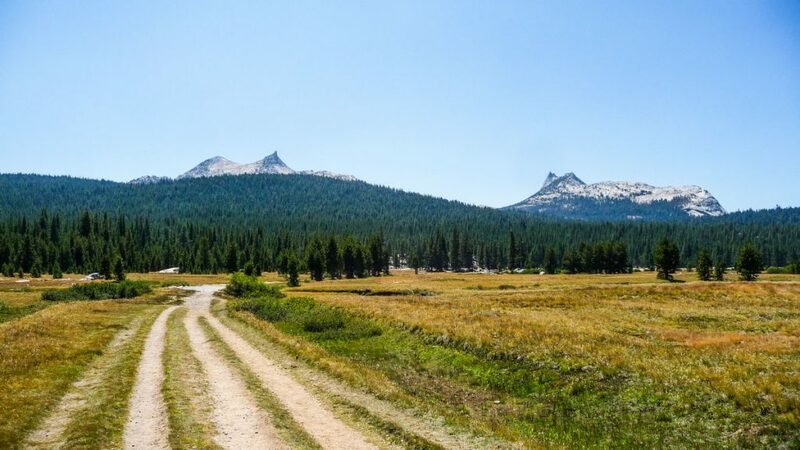 The official trail heads north and crosses Highway 120 and offers nice views of Tuolumne Meadows. This junction can be a little confusing since there are no signs indicating which way is the JMT. The trail continues through Lembert Dome parking lot, which was full of cars. It was strange to see so many people and cars again, even if I’d only been on the trail for 3 days. It then turns south and crosses Highway 120 again. I walked by the highway going west towards the post office and the cafe where I could get some junk food. I was pretty hungry but I wasn’t really craving for junk food. I could have happily eaten something inside my bear canister. I got to the post office around 1:30, picked up my resupply package and while sorting my stuff, I met a guy (once again, I’m terrible with names) who had done the whole Pacific Crest Trail and Appalachian Trail. We had a nice chat and he was great at explaining to me the logistics of those long distance hikes. 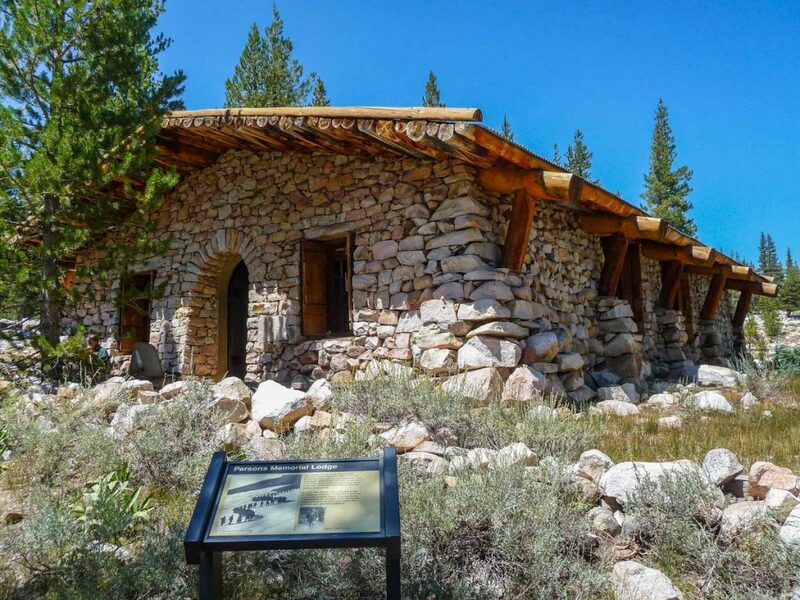 He was doing the JMT this time and was planning to complete the whole thing in 13 days. 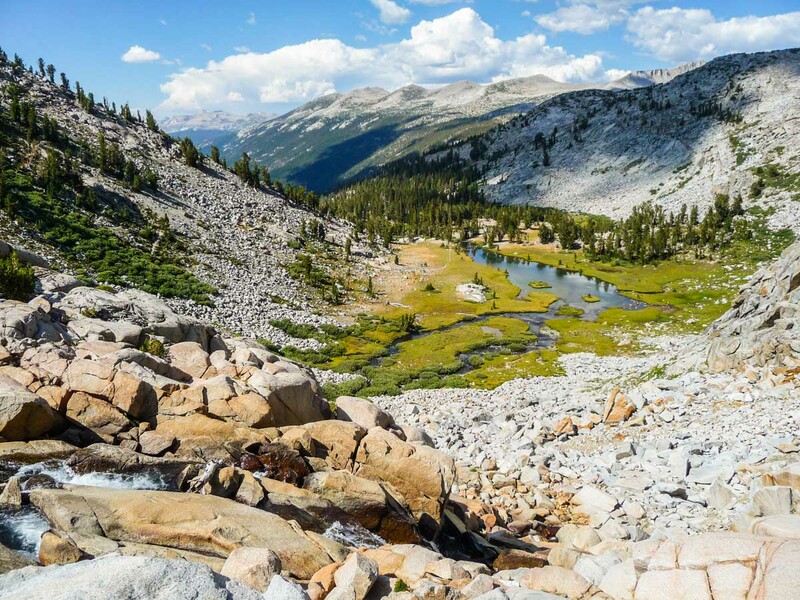 Based on his experience, he said that the JMT is the most beautiful stretch of any of the trails he has done in the entire country, mainly because it is consistently beautiful every single day. After packing my resupply into the canister, I got myself a cheeseburger combo at the cafe. I then went to the store and got what I was really craving: ice cream. Add a bottle of Gatorade and I was in food coma. After a short rest, I asked my way to the Backpacker’s Campground. I had to walk through the regular car camping campground and the size of some of the tents there were unbelievable. They were like apartment buildings. I picked site BP14, which is on the back (south) of the campground. Right after I settled down, a huge family with about 5 kids settled in the spot next to me. I thought I was in for a long and rowdy night but they were pretty quite after 10pm. I paid the $5 for the campsite and started looking for familiar faces. Based on their plans, Mickey, Buzz and G-Man should have been camping there that night. After walking around the campground I found Buzz and G-Man, and it was great to see them again. 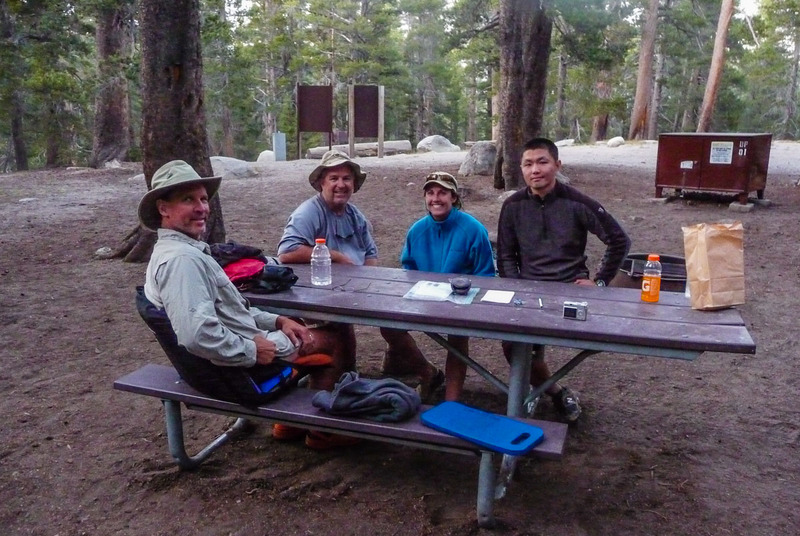 I also met Glen and his daughter Corrine, who were doing a section of the JMT. We chatted by the picnic table until the sun went down. People kept dropping by the campground late into the night but there were no spots left. When I called it a night and went back to my tent, someone had decided to use my site as well. I would have shared the site with anyone since it fits 2 tents, but this guy didn’t even say anything. When I greeted him, his only response was “Hi”. It looks like a great time. 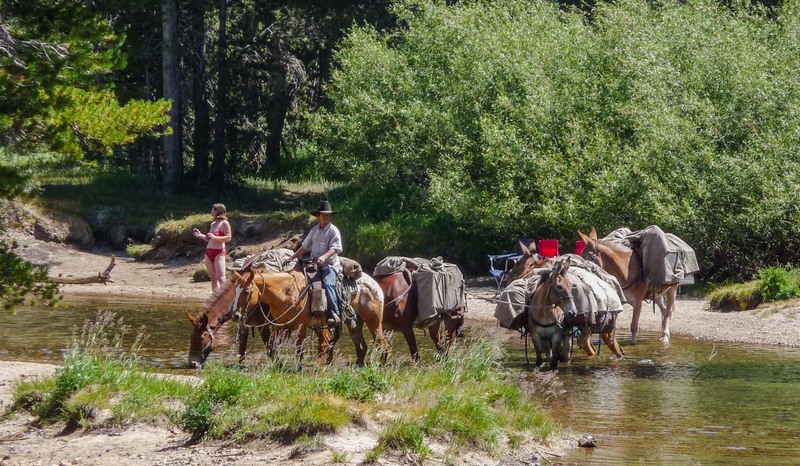 I am section hiking the Pacific Crest Trail a little at a time. I just finished Section A and will be finishing up Section B here in a few weeks. I have decided to hike 2 or 3 sections a year until I finish the whole thing. Hopefully in a few years I will make it up to the JMT. Good luck on your hike. Hi Mike. I met a hiker on Forester Pass (highest point of the PCT) who was doing the same thing as you are: section hiking the entire PCT. He’s been doing it for a few years and does 2-3 day hikes at a time. Wow, I liked your adventure. When I was much younger, I hiked from Yosemite Valley up through Little Yosemite Valley to Tanaya Lake and back down to Yosemite Valley. Real fun. I was 17 and did not know any better, but I had a blast.